We understand that In-store radio and corporate Audio management software needs to be simple enough to use so that your staff can get what they need done quickly and without drama. At the same time, we understand that managing an audio network and software is not a trivial task. CampaignManager is stacked with powerful and well thought out features that ensure your job in managing an audio network via Dappler players is as painless as it can be. You can build playlists with audio content as required be it music, advertising messages, announcements, promotions, audio on demand, audio integrated with QR codes or any audio content, it can all be scheduled to playback at targeted devices at the click of a button. No need to worry about network dropouts as Dappler player maintains a content library to reduce network traffic and ensures continuous playback during disconnection. Once published, your audio content will keep playing as per schedule even if your network drops out. Dappler also supports advanced categorization allowing scheduling and targeting of playback devices according to demographic information, size of store, time, revenue per store or any other business rule you would like to associate with your network. CampaignManager and Dappler players are designed and priced to work with your business – no matter how big or small, be it a single speaker or many thousands, the flexibility of the software allows you to start small and grow as your network grows nationally or internationally. 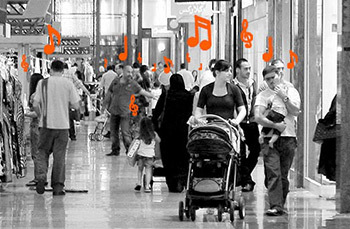 Dappler is trusted by some of the world’s largest retailers to manage their in-store and corporate audio. Cloud or On Premise? Dappler can be deployed both as Cloud and On Premise as required. What OS are supported? Dappler supports devices with Windows and Android Operating System. Is Free Trial available? Yes, you can download a 30 days free trial from our website. I want to start my own commercial audio service? You can use our platform to manage multiple customers with a single server. More Questions? Get in touch with our sales team. To know more about Dappler features, please contact us.